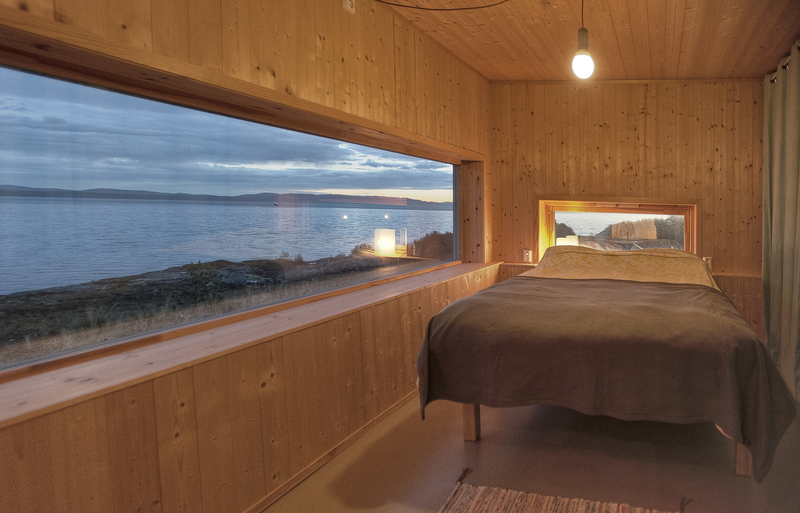 Architects Andreas G. Gjertsen and Ørjan Nyheim from Norwegian firm TYIN tegnestue architects designed a getaway in Møre og Romsdal, about 500 km north of Oslo. The resulting cottage is a warm, welcoming and sustainable structure, in tune with the nature around it. To get a better grasp of the importance of weekenders in Norway - like K21 Skardsøya, a real architectural gem designed by TYIN tegnestue architects, - you need to be aware of how important it is for Norwegians to stay close to nature, particularly if they live in the city. Weekends and holidays in the cottage enable them to rediscover the traditional ties that risk being lost with the grind of routine, contemporary life. One of the results of this desire is K21 Skardsøya, unique to the history of the young team from TYIN tegnestue architects, because it is a design they had come up with in their university days, which the clients actually took up only in 2013. The modestly sized structure of just 60 square metres is surrounded by rocky marshland with scattered pines and juniper, 21 metres above sea level, and 100 metres from the actual seafront. Part of the marshland was cleared to prepare for the building stage, exposing bedrock to help the cottage fit in with the terrain, and making room for the concrete foundation. The clients built the environmentally-friendly, low energy consumption cottage themselves; they used untreated timber from their own woodlands for the exterior, so the material will naturally age to give it a light, shimmering hue. The cottage follows the lie of the land on three different levels. So you get a different perspective, depending on where you view it from. It looks quite tall from the west, where a mezzanine level was added, and the cottage design also sets up a connection between the interior and the outside areas. The entry to the main building shares a gallery roof that protects the outhouse. The special thing about K21 Skardsøya designed by Andreas G. Gjertsen and Ørjan Nyheim lies in the fact that it is a self-built construction by the clients, who then invited the architects to view the end result of the design they had created years earlier on paper, to the architects' great satisfaction and delight!